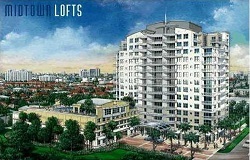 Coral Way Midtown Lofts condo in Coral Gables is located at 3180 SW 22 St, Coral Gables, FL 33145. Built in 2006, Coral Way Midtown Lofts is 14 stories offering 99 residences with Lofts bedrooms sized between 528-1,321 SF. Scroll down to view all available units for sale and rent at Coral Way Midtown Lofts or contact us for more information on this and other great condos in Coral Gables. Beautiful 1 Bedroom 1 Bathroom Apartment With Over-sized Balcony. Must See! Available Dec 15.